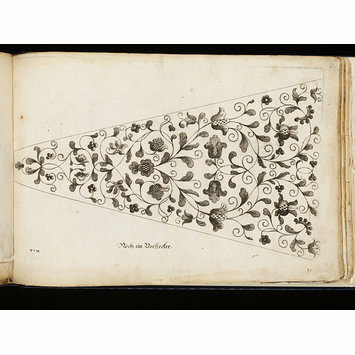 Printed design for an embroidered stomacher featuring a continuous stylised floral and leaf pattern with heavily etched decorative elements. The narrowest part of the stomacher is at the left hand side of the page. Plate number in ink at bottom right of page. Height: 19.4 cm Size of plate., Width: 29.7 cm Size of plate. 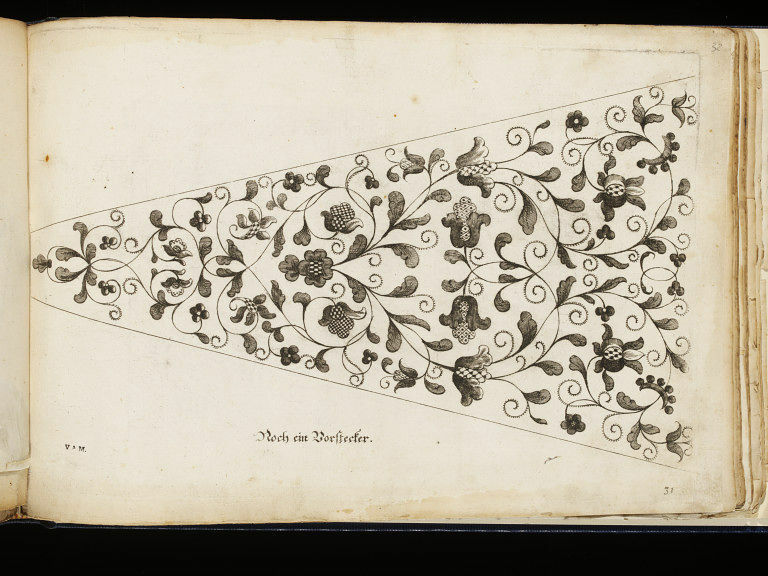 Printed design for an embroidered stomacher, about 1725, by Margaretha Helm (1659-1742). These printed designs by Helm are catalogued as by Helmin, the feminine of Helm, in the Micromedia online catalogue.